The De Rose Personal Injury Law Firm offers over 40 years of combined legal experience. 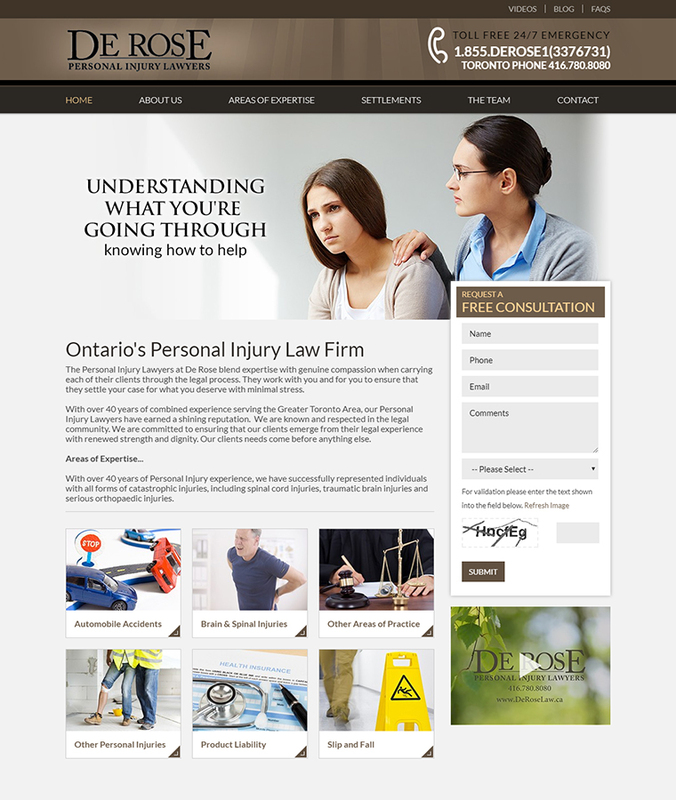 In this law firm website design we have used a substantial amount of white backdrop. This is commonly used where websites have a lot of information, as it helps make navigation a lot easier and the browsing experience more pleasurable. If your legal company is looking to have a new website designed, keep in mind that the web design should be professional in its look and feel, yet be welcoming for customers. Getting this balance right can be a bit of a challenge, but an experienced web design company will be more than happy to advise you on the best way forward and work with you achieve the look you need. A key element of a legal company’s website is the ability to gain the confidence of customers. Information on the legal services you specialize in should be easily accessible and written in a way that the majority of visitors can read and comprehend. Many firms also choose to include individual legal case studies they have undertaken on their website. This is another great way to connect with visitors and show your competency.